Several Turkish prisoners return home to their families for a week’s leave, and must deal with the consequences of their long absence. As Peary notes, this award-winning Turkish film is “fascinating, brutal, [and] depressing” — truly a provocative viewing experience. Its very premise — prisoners “on leave” who must eventually return to captivity — is unusual, and infuses the film with a sense of bitter fatality. Ironically, life is not a whole lot better on the outside than in prison, and the line between the two is shakily drawn. 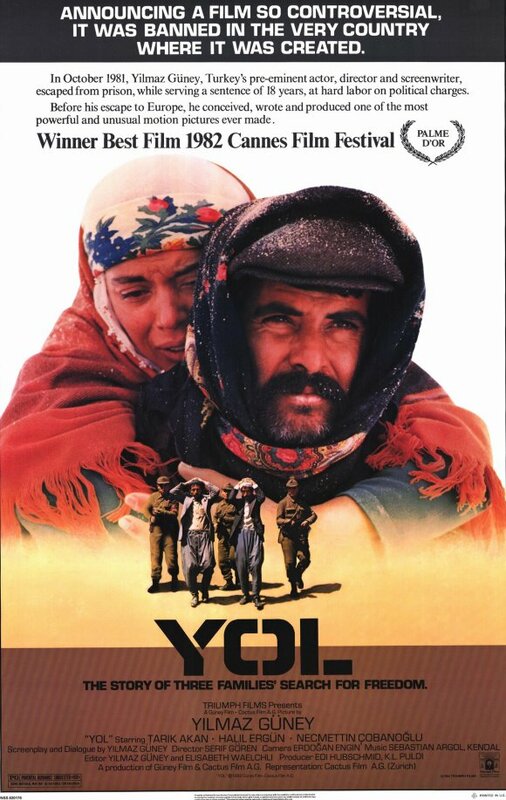 Indeed, Peary posits that director Yilmaz Guney (a former prisoner himself) is attempting to show how “in Turkey, hostility and repression exist on every level of society.” This realistic film is hard to watch, but not easily forgotten. Yes. This is harsh but must-see viewing.